New AAP SIDS (sudden infant death syndrome) prevention guidelines. The American Academy of Pediatrics (AAP) has recently released a report indicating that studies have shown, that sleeping in the same room as your infant for up to 1 year can significantly reduce the risk of SIDS. Currently, according to the CDC, about 3500 infant deaths a year are attributed to SIDS and other sleep related disorders. Babies are at greatest risk for SIDS from birth to 4 months of age, but are still considered at some risk for the first year of life. Recent research has shown that sleeping in the same room as your infant for at least the first 6 months of life, and ideally the first year of life, can decrease the risk of SIDS by 50%. However, this does not mean having the baby co sleep with parents in their bed. Adult mattresses tend to be too soft, there is too much loose sheeting and blankets that can cause strangulation, and baby can over heat, all of which can increase the risk of SIDS. Your infant should be in a crib or bassinet with a firm mattress, without bumpers, stuffed animals and a lot of loose blankets. Baby should also, always be placed on his or her back. Other things that a parent can do to prevent SIDS is keeping the room temperature between 68 and 72 degrees Fahrenheit, and running a ceiling fan that keeps air flowing. Also, according to the AAP report, breastfeeding significantly reduces risk of SIDS, as does keeping a tobacco smoke free environment. The report also found that pacifier use reduces the SIDS risk and is now recommended for sleep and nap times. Babies should not be left to sleep for long periods in car seats, strollers and swings. Finally, the AAP reports that, so called safety items that are offered and sold to parents, have not been proven to reduce the incidence of SIDS. These include anti SIDS mattresses and home cardiopulmonary monitors. Parents likely should not waste their money on these items. The AAP reports they are unable to offer a recommendation at this time, on bedside sleepers that attach to parents' beds, as there is insufficient research. Fortunately SIDS is relatively rare but it is always tragic when it does occur. Following the AAP guidelines should help parents to feel less anxious, and in spite of having a newborn, may actually help parents to sleep a little better. As of this writing there have been 263 confirmed cases of Zika virus in Florida since January. As the number of Zika cases raises so too do fears that the virus will start causing the severe birth defects that are occurring in infants throughout the Caribbean and South America. What are the real risks for our children here in Florida? First, the good news. The Zika virus poses little threat to children and infants. Only one in five infected individuals will exhibit symptoms and those that have symptoms will usually only have mild viral symptoms such fevers, aches, pains and a rash. Secondly, all of the cases in the United States thus far have been contracted in other countries or through sexual activity with infected individuals who had recently travelled to at-risk countries. The primary mode of transmission in countries most affected by Zika is through mosquito bites. Thankfully no mosquitoes have been identified in the U.S. as carrying the virus. So why is there so much fear about this virus? When pregnant women contract the virus, their unborn baby is at risk for severe birth defects that cause a small head (microcephally) which results in serious brain disorders and developmental delays. The larger the population of infected people in our area, the more likely the virus will take hold in the mosquito population. If the virus becomes mosquito-born, then we will see a significant increase in Zika cases and likely an increase in children born with severe birth defects will follow. What can we do to reduce our risk from the Zika virus? The biggest risk for contracting the virus currently is by traveling to countries whose mosquitoes carry the virus. If you are a woman who is pregnant or at risk of becoming pregnant or a man who potentially could cause his partner to become pregnant, then it would be wise to avoid traveling to countries in the Caribbean or Central and South America where the virus is wide-spread. To find out which countries are high risk consult the CDC website at http://www.cdc.gov/zika/index.html. In addition to being selective about your travel destinations it would be wise to take measures to protect yourself from mosquitoes at home. 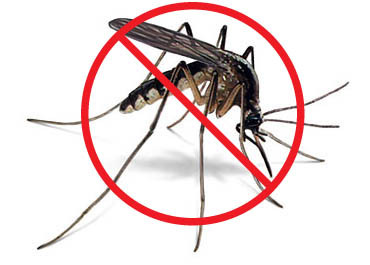 Mosquitoes love to breed in pools of stagnant water, so make sure you don’t leave empty buckets, flower pots etc. outside to fill up with rain water. We might also want to do a little investigating about who is running for mosquito control in our county in the next election and elect the most qualified individual. Finally we should all protect ourselves and children from mosquito bites through simple measures such as wearing light-weight long-sleeved clothing, mosquito netting over strollers, etc. when in mosquito infested areas, using insect repellent, and avoiding being out at dusk and dawn when mosquitoes are their most active. The Zika virus has only been recognized for a very short time, which means there is much we do not know about it. We will watch closely for any news about Zika that may be relevant to our patient families’ health and pass it along to you.